The Eleanor gives you a wide open 5,000 square foot space, a blank canvas that you can paint with your personality for your event. The beauty and personality of Portland, just for your event. The Eleanor is an urban space that is quintessential Portland. The focal point is our ceiling, a dramatic natural wood bow truss that takes you back to when even warehouses were works of art. The corner walls are full of windows that admit natural light in the day and a spectacular view of downtown buildings at night. The heart of the Pearl district is right outside, and proximity to freeways and downtown provides great access. The beauty and personality of Portland, just for your event. The Eleanor has easy access to and from I-405 and a short walk to the Pearl district and Downtown Portland. The heart of Portland is just outside our doors. We provide ample area for food service, with a refrigerator, multiple power outlets and a prep sink. Varied lighting options are easily switchable, including modern chandeliers and dimmable work lights. We have easy access to the street for loading and unloading and two bathrooms for your guests. The space comfortably handles about 150 people for a seated dinner or about 250 for a standing event. We can also open a door to part of the Chown Hardware showroom for added space for industry events. The Eleanor is the latest venture in our family’s Portland history – begun in 1879. Our namesake is Eleanor Chown, the matriarch of the Chown family and the founder of Chown Showcase in Portland. Her vision created what Chown Hardware is best known for today: dramatic and beautiful plumbing fixtures, lighting and hardware for the home. 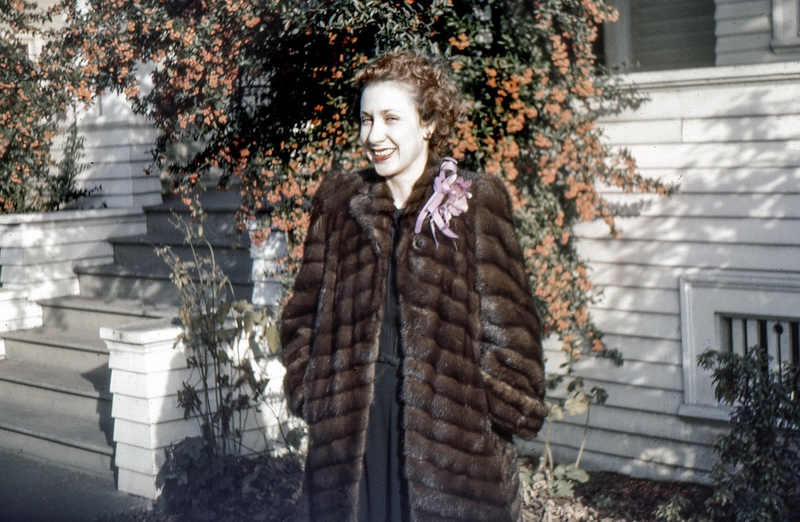 Together with her husband Frank, Eleanor traveled the world looking for the best products and manufacturers and brought beauty and design back home to her beloved Portland. Today her legacy lives on through her sons and grandchildren, the fifth generation of Chowns in the family business. The Eleanor brings her tradition of beauty, design, and service into an event venue that all of Portland can enjoy. The Chown family is excited to carry on her legacy of hospitality and sharing.